Ki Cold & Flu Attack offers relief from fever, cough and nasal congestion. 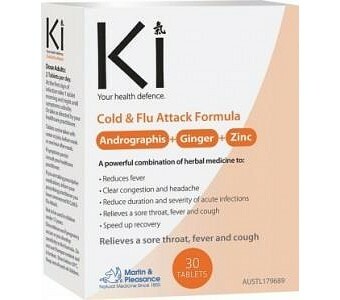 Ki Cold & Flu Attack effectively improves your body’s fast immune response at the first stage of infection and fever. 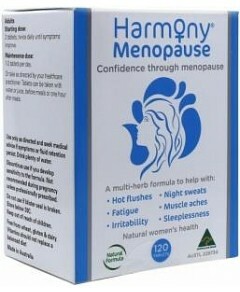 This leads to a quicker recovery from mild upper respiratory infections as well as reducing the severity of symptoms. Contains: Andrographis (KalmColdTM): this immune stimulating anti-inflammatory herb has been shown in clinical research to reduce the severity of sore throats, fever, cough, headache and nasal discharge and improve sleep and fatigue levels. Fresh Ginger: Traditionally used to help remove mucous and nasal congestion, to ease coughs, induce sweating and relieve headaches. 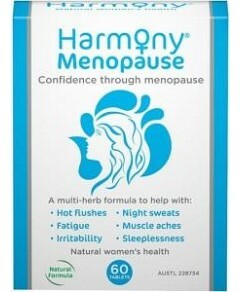 Zinc: Provides nutritional support for a healthy immune system and helps with the relief of cold & flu symptoms.